a warrior or fighter, a hero. 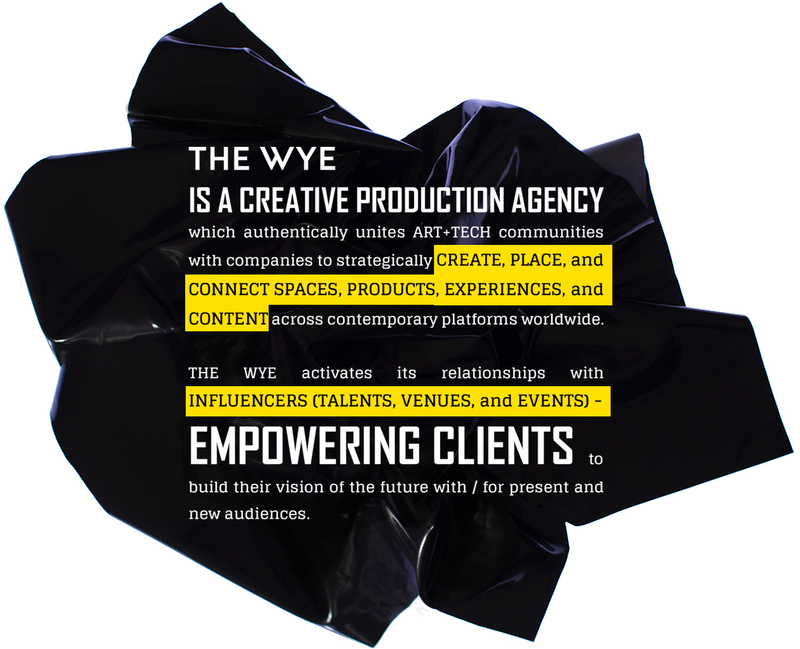 Curating with / for world renown events and clients, THE WYE develops and produces high-profile, interactive ART + TECH installations and programming. We design pioneering creative-technology settings and content which generate enthusiastic, authentic audience engagement. Working with / for world renown venues, public spaces, and institutions THE WYE project manages and places ART+TECH content in strategic contexts. We jumpstart new conversations and trends by activating diverse individuals to share a unified story across contemporary real-world and virtual platforms. Advocating with / for the ART + TECH ecosystem and the corporate world, THE WYE matches communities and companies. We supply insider access and insight - structuring, navigating, and delivering exclusive, meaningful alliances which yield results.